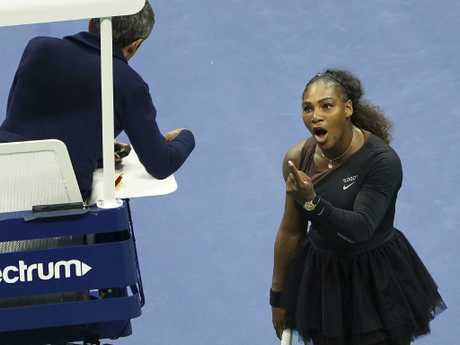 SERENA Williams has broken her silence for the first time on the sensational US Open outburst that turned the women's final into an international controversy. The 36-year-old blew up after she was penalised for being coached from the sideline and racket abuse. Despite coach Patrick Mouratoglou admitting he was coaching from the box, Williams doubled down on her claim, insisting she knew nothing about it. "He said he made a motion," she told The Project, in an interview to air next week. "I don't understand what he was talking about. We've never had signals." Williams also reiterated her claim that female stars were treated differently to the men on tour. "I just don't understand … if you're a female, you should be able to do even half of what a guy can do," she continued. Williams received three code violations and was penalised a point and one game. She was later fined $17,000. Tennis icon Billie Jean King has said she also believes tennis applies a double standard to women compared with men, and a similar outburst by a male player would have drawn no repercussions. A cartoon caricature of Williams that appeared in the Herald Sun inflamed the controversy further, drawing comparisons to US racial stereotypes of the past. In Croatia, US Davis Cup team captain Jim Courier said he thought the gender issue had been polarised and, in some ways, politicised. "It's been quite the week," said Sarah Robb O'Hagan, chief executive of Flywheel Sports, while talking to Williams on Friday at the National Retail Federation Show in Las Vegas. "It isn't the first time you have had to deal with unfair judgment against you, and yet you have this amazing ability to come back with such courage and grace," she said, before steering the conversation away from the US Open drama. The moment that sparked it all. 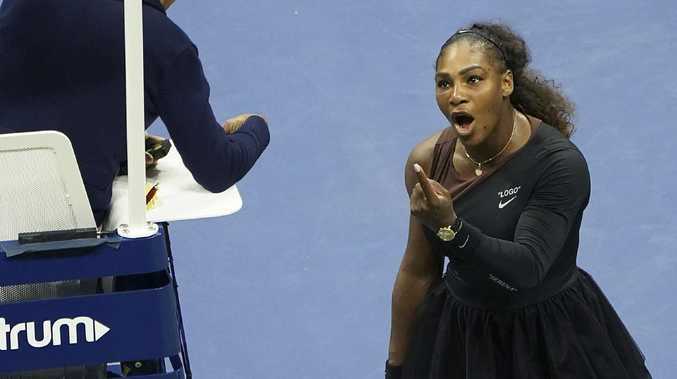 She drew applause when she praised Williams for calming a riled-up audience that booed the US Open outcome to refocus the momenton Osaka's victory. "I feel it's really important to stand up for what you believe in," Williams said. "Especially if it can affect the future and affect a lot of people in the future. That's what it's all about." The 23-time Grand Slam champion was also asked about what O'Hagan termed "epic comebacks" during her 20-year tennis career, including having a baby a little more than a year ago. "Really, it's just about having a great team ... and rolling up your sleeves and hard work," Williams said. "I work really, really hard at my game. And then I work super hard at my fashion business. And I'm working incredibly hard at being a mom."